"It looks the same on the powerpoint slide, but they are very different". The place is Austin, where an AMD engineer is commenting on the slides describing the Zen and Skylake schematics. In Portland, the Intel representatives could not agree more: "the implementation matters and is completely different". "We have to educate our customers that they can not simply compare AMD's 32 core with our 28 cores". This morning kicks off a very interesting time in the world of server-grade CPUs. Officially launching today is Intel's latest generation of Xeon processors, based on the "Skylake-SP" architecture. The heart of Intel's new Xeon Scalable Processor family, the "Purley" 100-series processors incorporate all of Intel's latest CPU and network fabric technology, not to mention a very large number of cores. Meanwhile, a couple of weeks back AMD soft-launched their new EPYC 7000 series processors. 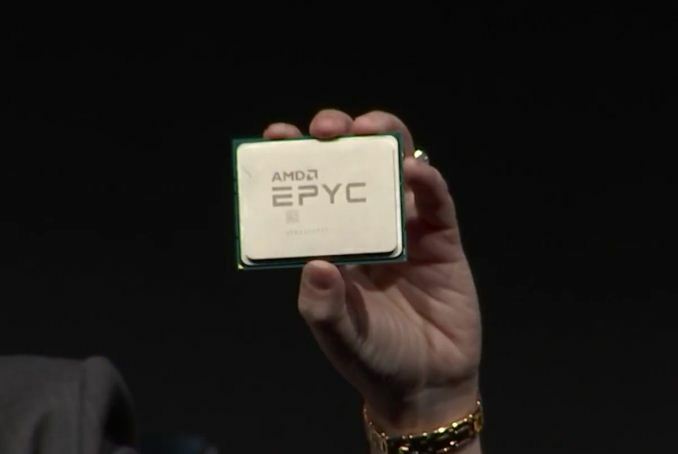 Based on the company's Zen architecture and scaled up to server-grade I/O and core counts, EPYC represents an epic achievement for AMD, once again putting them into the running for competitive, high performance server CPUs after nearly half a decade gone. EPYC processors have begun shipping, and just in time for today's Xeon launch, we also have EPYC hardware in the lab to test. Today's launch is a situation that neither company has been in for quite a while. Intel hasn't had serious competition in years, and AMD has't been able to compete. As a result, both companies are taking the other's actions very seriously. In fact we could go on for much longer than our quip above in describing the rising tension at the headquarters of AMD and Intel. For the first time in 6 years (! ), a credible alternative is available for the newly launched Xeon. Indeed, the new Xeon "Skylake-SP" is launching today, and the yardstick for it is not the previous Xeon (E5 version 4), but rather AMD's spanking new EPYC server CPU. Both CPUs are without a doubt very different: micro architecture, ISA extentions, memory subsystem, node topology... you name it. The end result is that once again we have the thrilling task of finding out how the processors compare and which applications their various trade-offs make sense. The only similarity is that both server packages are huge. 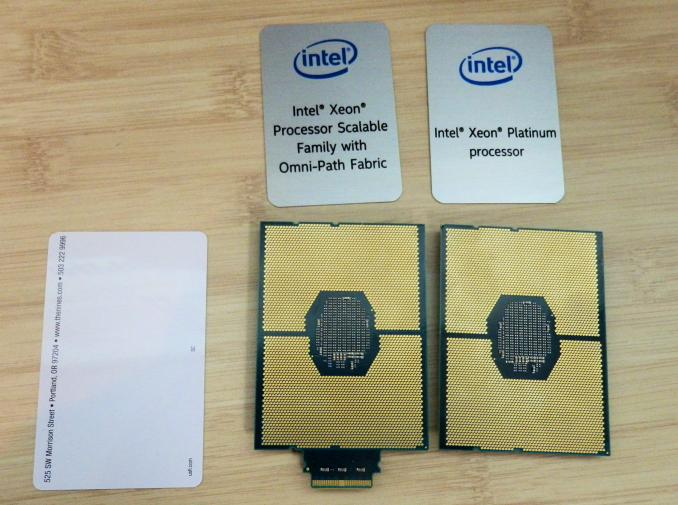 Above you see the two new Xeon packages –with and without an Omni-Path connector – both of which are as big as a keycard. And below you can see how one EPYC CPU fills the hand of AMD's CEO Dr. Lisa Su. In the next pages, we will be discussing the impact of these architectural choices on server software.